Marucci BBOCR is using an Aerospace grade composite handle that allows for what Marucci Bats and their team of professionals believes is the optimum in "Seamless hybrid construction" they have fused both alloy and military grade materials together to make one of the best BBCOR baseball bats ever. Not only does this make for their strongest alloy composite hybrid, but it also maximizes energy transfer during the swing and reduces vibration coming back to the hands. Marucci’s “Mid load mass distribution” is also a new design feature part of it’s strategically redistributed mass profile which creates a larger sweetspot and improved balance. This means the Elite BBCOR bat and all of Marucci's bats have been directly influenced in profile shape by major leaguers. Believing that the shape also contributes to the balance, performance, and feel. 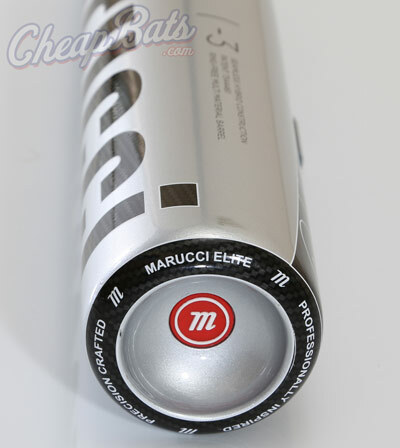 In the Marucci Elite, they also designed a "Ring-free multi material barrel", wanting this to be the best feeling bat on the market ,as well as best performing. The Elite AZ3000 alloy barrel has Marucci's biggest sweet spot too. They used proprietary metal forming and a thickness tuning processes, that according to Marucci, allows for unrestricted performance and all season durability. And because of this bats patented alloy and composite multi material barrel that no one else has. Marucci says they are the first to offer a BBCOR bat that feels like a BESR bat. 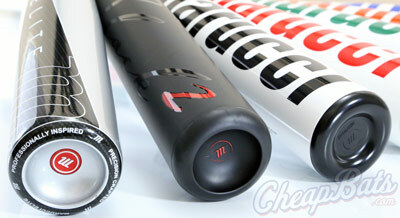 Marucci will also be offering their unequal anti-vibration grip on this years 2013 Marucci Elite BBCOR. This is Marucci's best BBCOR bat in their alloy family, and likely will be staying the same for 2014.